There are two difference statutes for Watershed Improvement District guidance on formation process, elections, and functions of the Watershed Improvement District board, once it is in place. Those are: Chapter 8 - Watershed Improvement Districts and Chapter 29 - Special District Elections Act. The purpose of the Watershed Improvement District legislation is to create a venue through which landowners can improve and maintain the quality of their watersheds with local or federally matched money. The elected board of directors, constituted of district landowners, shall authorize and oversee projects within their district. This mechanism allows local control of projects and funding. Watershed Improvement Districts are formed as subdistricts of Conservation Districts. The conservation district in which such subdistricts are formed shall cooperate, advise, and consult with the Wyoming Department of Agriculture in matters pertaining to the organization, operation and maintenance of the watershed improvement district. 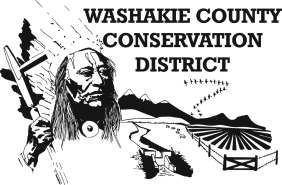 The Washakie County Conservation Currently oversees the projects and conducts the elections for the Cottonwood Grass Creek Watershed Improvement District, which is done in partnership with Hot Springs Conservation District. This WID boundary encompasses both Hot Springs and Washakie Counties. In addition, on August 20, 2015, the Washakie County Conservation District and the South Big Horn Conservation District approved the creation of the Nowood Watershed Improvement District. This WID boundary encompasses both Washakie and Big Horn Counties.